Organic, gluten free, non-GMO, soy free, vegan. Not made in a gluten-free facility, but good manufacturing practices are used. I ate it so fast I barely had time to process the flavor. It was so good, so amazingly deliciously good. Chocolate melted around a peanut butter center with crunchy rice. This is what all those mediocre choco-peanut protein bars are trying and failing to taste like. It also had a great mouth feel, kind of like eating a mouth full of peanut butter and chocolate. I would say I enjoyed this more than any other bar I have reviewed so far, even the scrumptious Chocolate Raspberry Truffle. 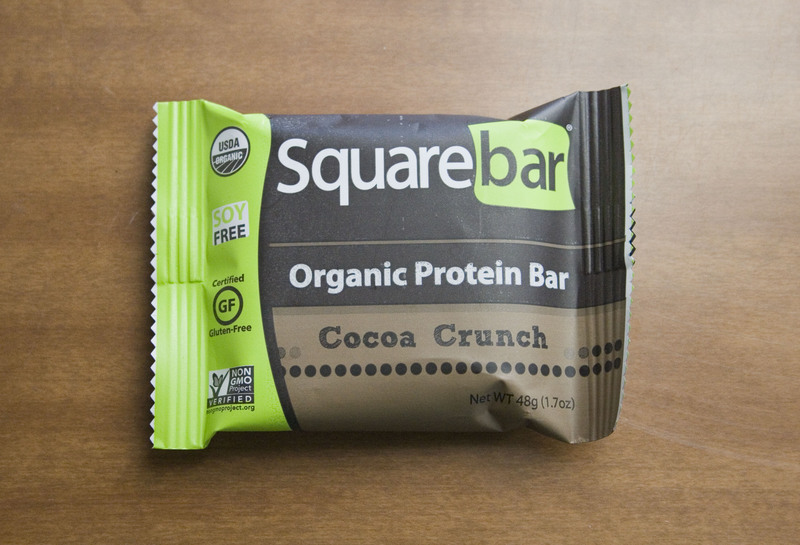 Packing in over 7 grams of protein per ounce, the Squarebar has the highest amount of protein by weight out of any of the bars I have reviewed thus far. What makes the protein content even better it is all plant based protein with no whey or soy as filler. I left the Burning Man tag off this post for obvious chocolatey reasons, this is a textbook example of the type of bar that will melt into a gooey mess in high heat. One extra plus for Bay Area residents like me is that they are local, made in Alameda. If I wanted to I could bike to them and pick up the bars in person creating no greenhouse gas emissions in shipping; this is the processed food equivalent to going to the farmers market. I just made a run to Whole Foods to get some more protein bars for review, up until now they all came from my local Pharmaca here in Oakland. The Squarebar is the first out of the Whole Foods bars I am reviewing.